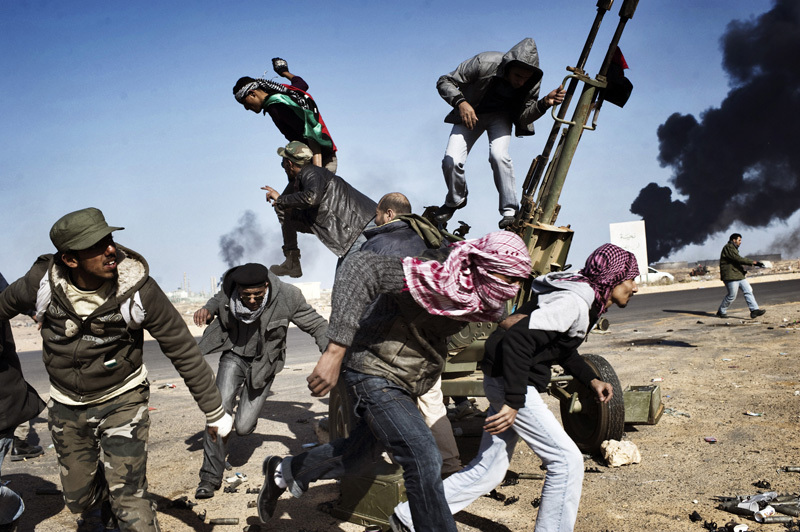 Rebels in Ras Lanuf, Libya. For weeks, the Rebels held out again Muammar Gaddafi, and held on to hope that the world would come to their aid. Defiance (and dreams) faded as the dictator's planes and tanks began to retake what had, with hopeless optimism, been dubbed Free Libya.